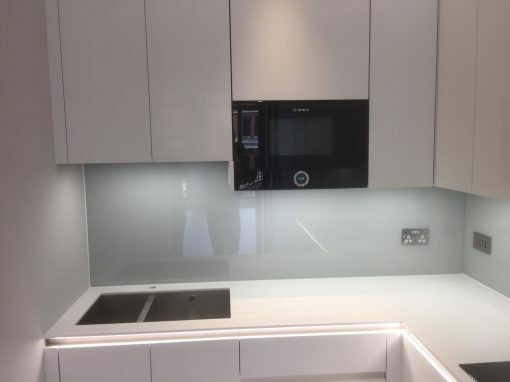 Do you want to have a modern looking kitchen, accentuated by glass splashbacks that match your kitchen cabinets? 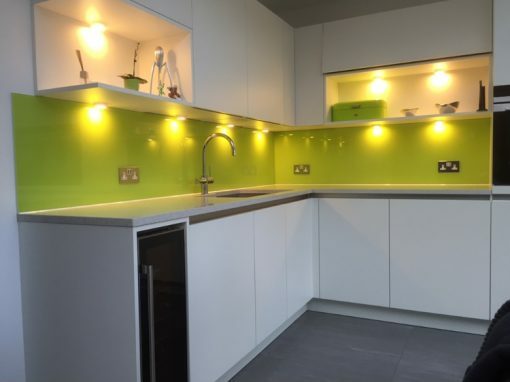 For this look, contact us here at Harlesden to give your kitchen the desired makeover. 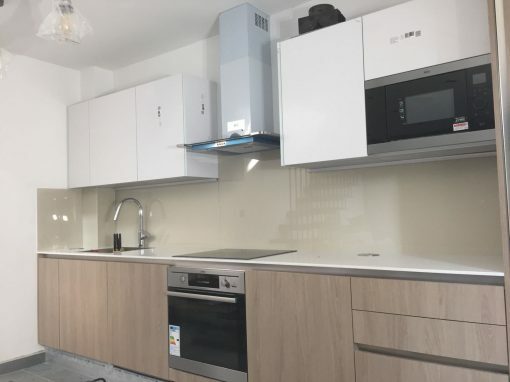 Kitchen splashbacks, unlike the traditionally used tiles, are very easy to clean, due to their possession of a plain surface, and they can also be installed in many diverse interesting colors, all depending on your taste. 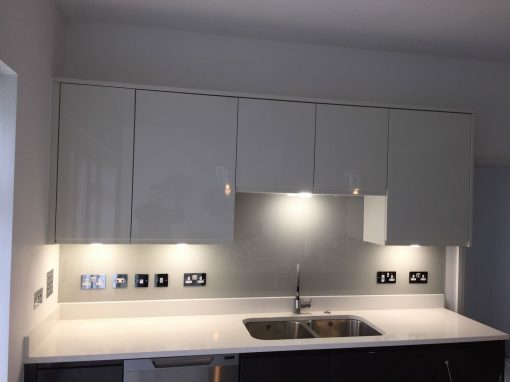 Our splashbacks are a very efficient way to make a statement with your kitchen, show off your personal taste and sense of style. More than just being good looking to the eyes, they are also very easy to clean and functional. 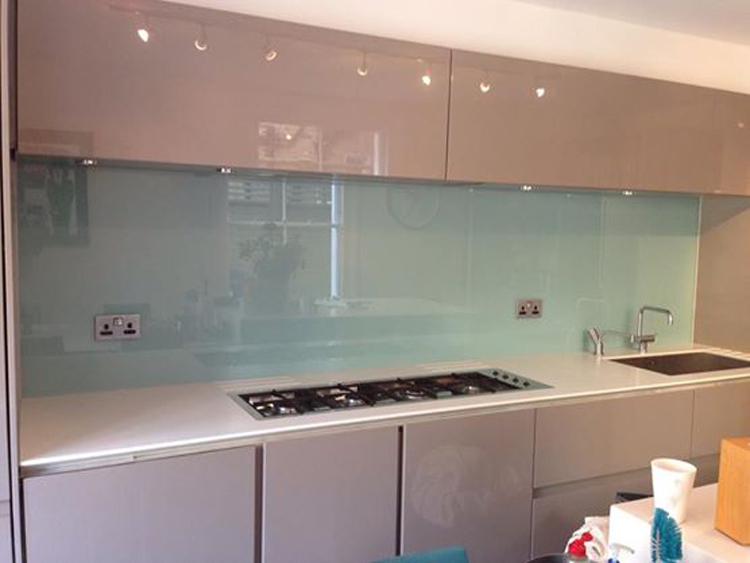 Southern Toughening Glazing Harlesden can produce glass splashbacks in any color or shape for a truly bespoke design. Our well-informed line-up of glass experts can guide you on load bearing requirements and regulations relating to the glass as well as help with fittings, decoration, and thicknesses. Our team can handle the tasks of designing, supplying and fitting glass for all your glazing needs, ranging from planned interior and exterior glasswork projects to emergency glass repairs in your home or commercial premises. We can also make wooden models for the glass for an accurate first-time fit.